Cedric Willems and Slim Hamza finished 9th in the ITA Mountain Region final rankings. Hamza (left) finished 80th in the nation in singles. The Intercollegiate Tennis Association released the final rankings for the 2013/14 season. 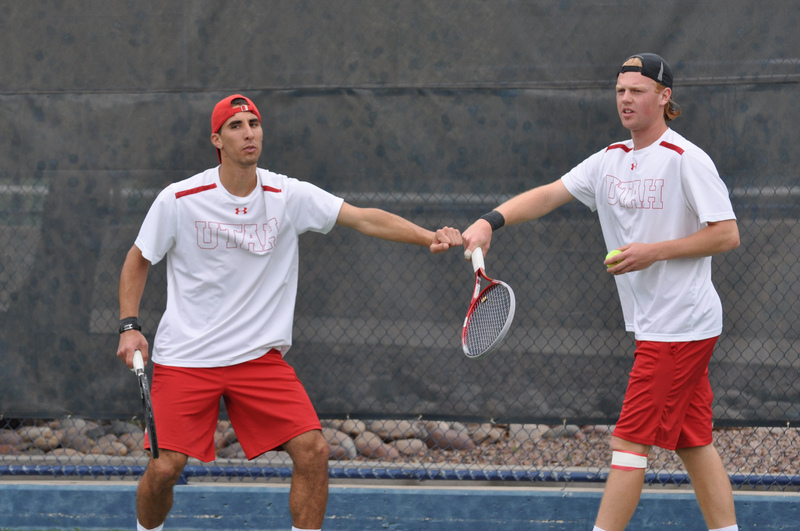 The University of Utah men’s tennis team ranks 57th in the national rankings and 2nd in the ITA Mountain Region. This marks Utah’s highest year-end ranking since 1997, when the Utes ranked 47th in the nation. Slim Hamza ended the season ranked 80th in the nation and is the highest nationally ranked player in the ITA Mountain Region. Hamza returns to the Utes next year as a senior. Graduating senior Ben Tasevac ranks 17th in the Mountain Region along with the doubles tandem of Hamza and Cedric Willems, which finished 9th. This entry was posted in PAC-12 / NCAA News and tagged Ben Tasevac, Cedric Willems, ITA, rankings, Roeland Brateanu, Slim Hamza, Utah Tennis, Utah Utes. Bookmark the permalink.